The recent earthquake in New Zealand led to formation of six new breaks on the northernmost tip of South Island, having completely changed “balance” of tectonic forces in this part of the archipelago. “It seems that the earthquake increased height of all northern coast of the island, from the cape Campbell to the neighborhood of the city of Kaykura. Breeds at the coast moved on very larger distance, approximately on meter up and on three meters aside. 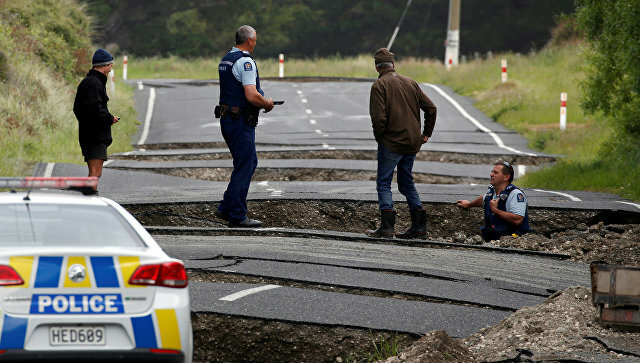 This coast of New Zealand is extremely difficult arranged, and now we desperately try to understand whether this earthquake released all points of tension or it created the new potential centers” — Nicola Litchfield, the geologist from the GNS Science company tells. 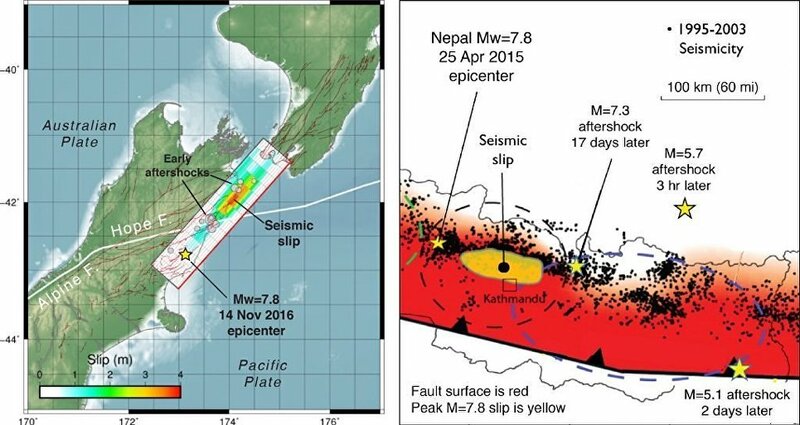 In the morning on Monday South Island endured one of the most potent earthquakes in the history which had magnitude in 7,8 on a scale of MMS and caused hundreds of repeated pushes, a tsunami, landslides and some other cataclysms. As a result of these consequences two persons died, and in the north of South Island a state of emergency, the bound to mass destructions of infrastructure and damming of the rivers was declared. Consequences of this earthquake, unlike the Nepalese accident in April of last year which had the similar magnitude and the similar mechanism of the birth were rather modest – in Nepal more than seven thousand people died, and about 6 thousand more Nepalese were seriously injured. Litchfild and several other geologists flew about the island by helicopter in attempt to estimate scales of destructions and to understand how the geological stop in Earth subsoil changed. Сфографировав the northernmost tip of the island from big height, scientists compared the received pictures to how South Island till the earthquake looked. It turned out that this series of pushes fundamentally changed how Earth subsoil in this part of the island is arranged. According to Lichfild, the island was disfigured by six new “scars” — large breaks, four of which go far to the sea, and two are on the land. In all these breaks layers of breeds were displaced relatively each other on several tens of centimeters up or down, and also sideways that considerably changed how aged tectonic “scars” pressed at each other. Now scientists actively study these new breaks, trying to understand where there can be the following earthquake and when it has to occur. For this purpose geologists plan to go to an expedition to the sea at coast of South Island where they plan to illuminate the bottom of the Pacific Ocean by means of sonars. These data as scientists hope, will help to understand how far four new breaks go to the sea and as their emergence affected “balance of forces” in a break of Malboro in which center there is New Zealand. Malboro’s break – one of the most difficult tectonic systems on Earth where four large breaks along which the Australian and Pacific tectonic plates move connect. Studying of consequences of this earthquake as Litchfild hopes, will help us to understand how this break in the future and what threat it poses for residents of New Zealand will behave.